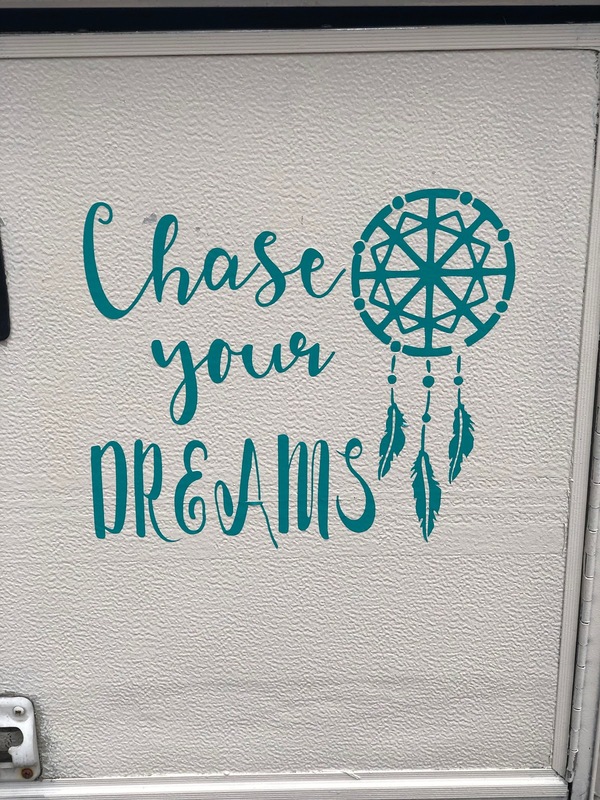 Where are you chasing your dreams this year? 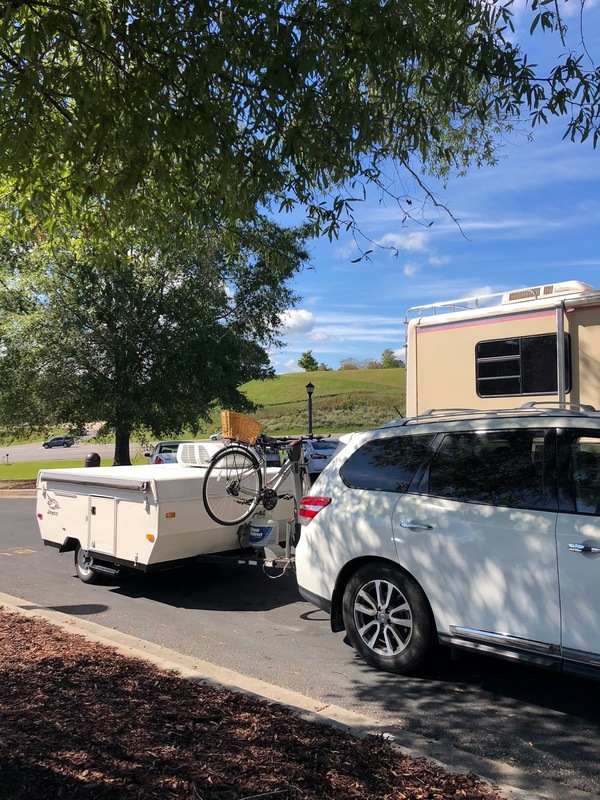 The minute you buy a camper or camping gear, you may find a line of people waiting to tell you what you need to be doing or buying. Just remember...there is no right or wrong way to camp. There is gear that you need based on what you like to do and the seasons. You need to be safe. But, outside of safety, food, and shelter, you do you! Sure, we could have bought something new instead of pouring money into an older camper. But, I don't want a camper payment. We paid cash for what we have. Some people will tell you that bigger is better. I really don't want a bigger camper. We are probably going to get something newer and have a camper payment at some point, but I am happy with what we have for now. I have spent a lot of time over the past two years getting our camper just the way we want her, and I want to enjoy what we have. 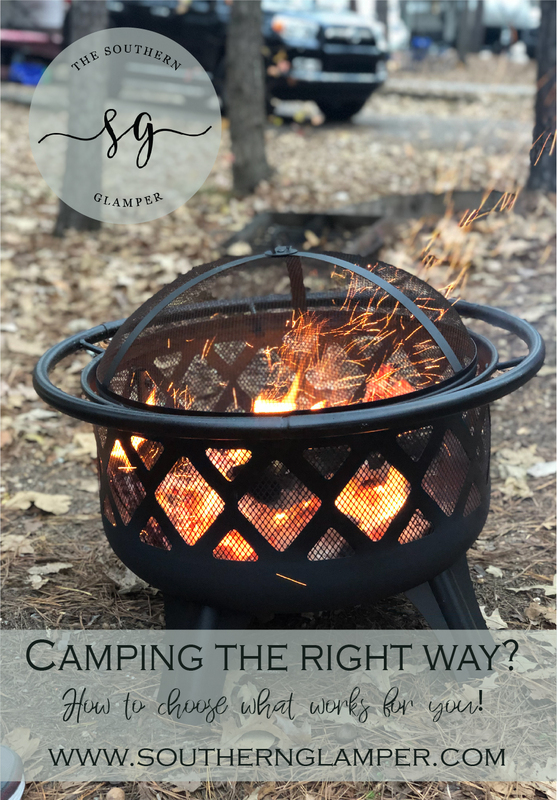 What kind of camping is right for you? I may never tire of our Peggy Sue. She is just right for us! If you are going to camp, what are your non-negotiables? Personally, I need a bed that is not on the ground. I need access to a toilet and shower - a bathhouse at a campground is just fine. I need to be able to cook, but a couple of burners works great. And last but not least, I do like having access to heat and air. We camp in the deep south. Weather can be very hot and fickle. Indoor creature comforts are my happy spot, but I don't need them all of the time. I like being outdoors, but I like being able to retreat into a comfy spot when the weather calls for it or at the end of the day. All set up, Peggy Sue is pretty homey. 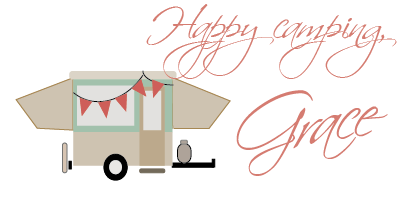 It is for those reasons that a pop up camper is the perfect happy medium for us. I like having more than a tent and super basics, but I don't need a full on house on wheels. A bigger travel trailer would be nice, but it is not a necessity. Make a list of what you need and what you cannot live without. Look for a camper or gear that gets you to the spot that checks the boxes for you. That is going to look different for every person that camps. I want to be outside as much as possible. Our camper is more of a place at the end of the day. I think about our camper the way I do a hotel in New York City. I don't want to spend all of my budget on travel for a fancy hotel. I want to be out in the city exploring. I am the exact same way about camping. 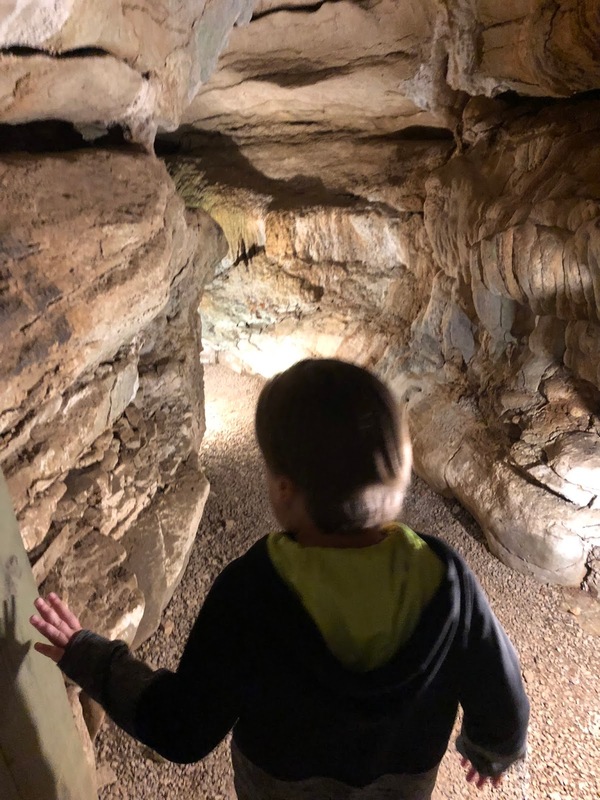 Exploring caves and outdoor places is what we love about camping. You can spend as much or as little as you like on your camping gear. But make sure that your gear matches the experiences that you want to have. If you truly want to sleep under the stars, then a tent might be just what you need. 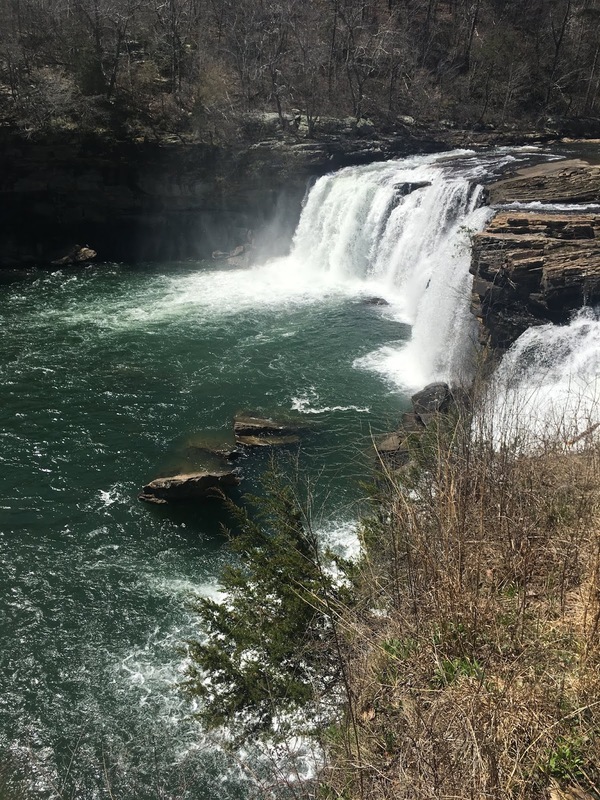 I know plenty of people that really love primitive camping. It's the best thing about camping. There is a way for every camper to get out there and enjoy the good life. There are so many places and ways to camp that don't require gear or even a camper. I saw a social media feed this week where a couple went to West Texas over the holidays and explored Big Bend and surrounding areas staying at El Cosmico and Basecamp Terlingua. 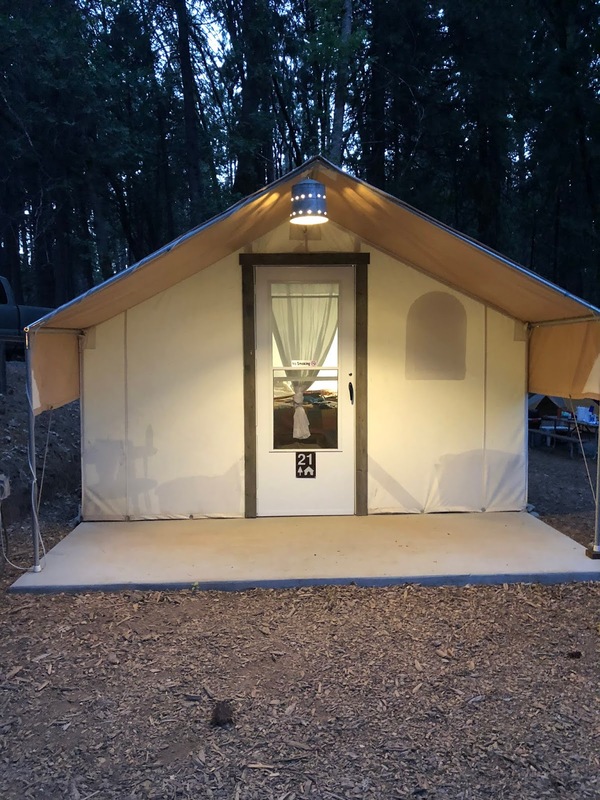 If you want to enjoy travel opportunities that are different and don't involve hotels and resorts, plan a trip that includes glamping tents and other inventive places to stay. You will be surrounded by nature in ways you had never imagined without expensive gear that will sit in a garage or storage. 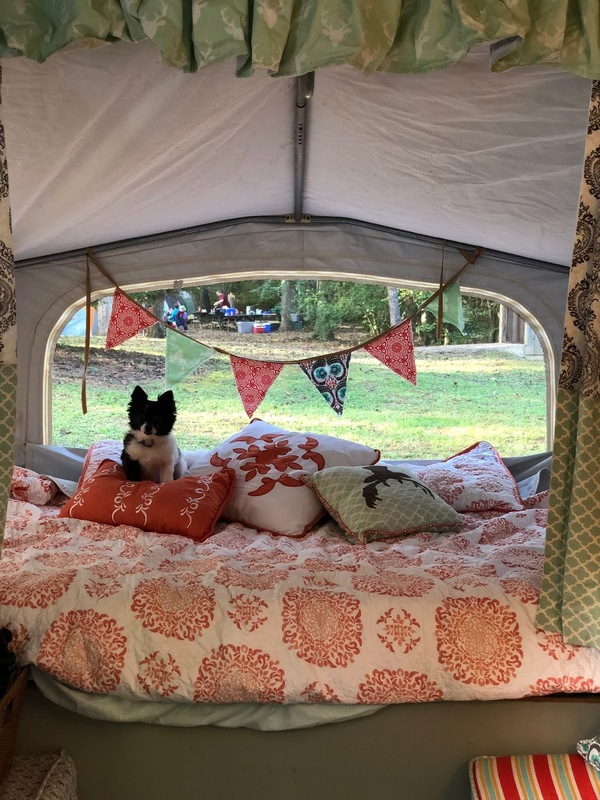 We loved renting a glamping tent last year. This won't be our last time to do this! For campers that plan to make this a regular hobby, it is wise to invest in the gear you will need. You can do this gradually. Our family bought our first gear to camp with friends in a tent that we borrowed. Our gear for that trip fit into one plastic bin. Now, we have everything we need. But, it was not until we decided we wanted to camp often that we dove into all of the gear we would need to be regular campers. No matter what, get out there! Don't let anyone discourage you! If you want something enough, you are going to do it. I hear people tell me that they don't want to camp in summer because it is too hot or in winter because it is too cold. There are too many bugs outdoors or camping is too dirty. These are the people that don't want to camp. Camping in Dekalb County, Alabama last year was beautiful. People that love camping and being outdoors will meet your dreams with helpful suggestions and recommendations that will enhance your journey rather than discourage it. Find those people. They are your camping tribe. Even our friends that are not campers don't discourage us because they understand that we enjoy this hobby and support us. Those are your people. They are our people. Surround yourself with a support system and remember that not everyone wants to camp. If I listened to every single person that had a negative word to say about how we camp, we would never go. Craig and I discuss our trips. Sometimes we alter time frames. We make plans and carry them out in ways that make us happy and work for our family. Camping can seem and sound selfish when I describe it that way. But it isn't. It is the freedom that our country was built on - to explore new places! Testing the waters? Rent an RV. Borrow some gear or rent a place at a unique campground. You can always see if outdoor excursions are for you and your family. My husband and I still have different ideas about camping. I just learned from him this past weekend that he doesn't love the bathhouses. This doesn't bother me. But, he and I both love the time together as a family. And it is this love that keeps us going back time and time again. If you are just getting started, check out my camping checklists. These are suggestions based on our experiences. You will discover what works for you and your family as you get going. And if you are looking for camping gear on a budget, use Facebook Marketplace, thrift stores, and yard sales to help you get the gear you want to use this year on the road. If you have a dream of camping, just do it. If something goes wrong or it isn't perfect, that's okay. Nothing is. Camping is yet another experience that is what you make of it. So get out there and chase your dreams this year and dream big!